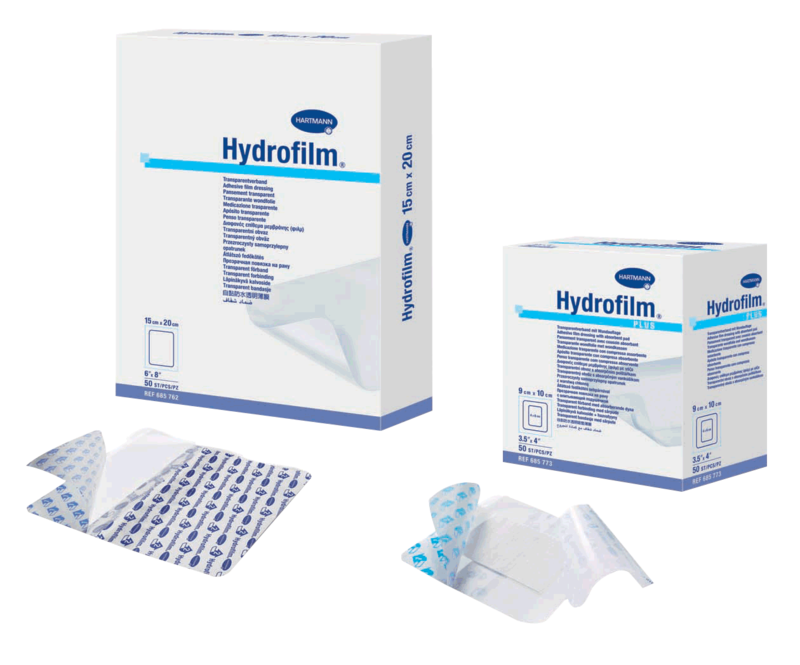 Hartmann Hydrofilm® Transparent Adhesive Film Dressing is for use as a post-operative and primary dressing to protect against secondary infection, and to cover non-exudating wounds. This dressing prevents moisture build-up under dressings to avoid peel-off. It secures dressing on the skin comfortably for longer wear time. It allows for wound assessment without dressing removal. High moisture vapor transmission rate. Conforms to body contours with a low profile. Numbered and colored application guides. Prevents moisture build-up under dressings to avoid peel-off. Secures dressing on the skin comfortably for longer wear time. Allows for wound assessment without dressing removal. Enables patient to shower with dressing in place while providing a barrier to bacteria. Easy-to-follow steps that can be performed with one gloved hand. Hydrofilm® Plus wicks exudate away from wound without sticking to the wound bed. Eclypse Foot Super Absorbent Dressing, 13" x 19"
CareBand Waterproof Bandage Strip with Island Pad, 1" x 3-1/4"